These days I have been seeing a lot of Halloween related stuff on all those make up blogs.Contests,Make up looks everything is inspired by Halloween at around this time of the year as Halloween approaches. 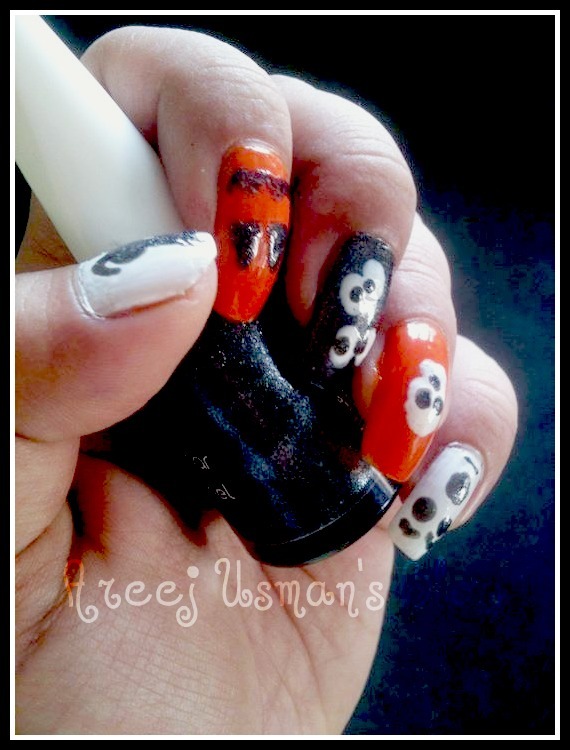 I did this nail art today inspired by Halloween just for fun and I am sharing it with you guys. So girls do you like it. Do leave comments if you do. Thanks Areej. 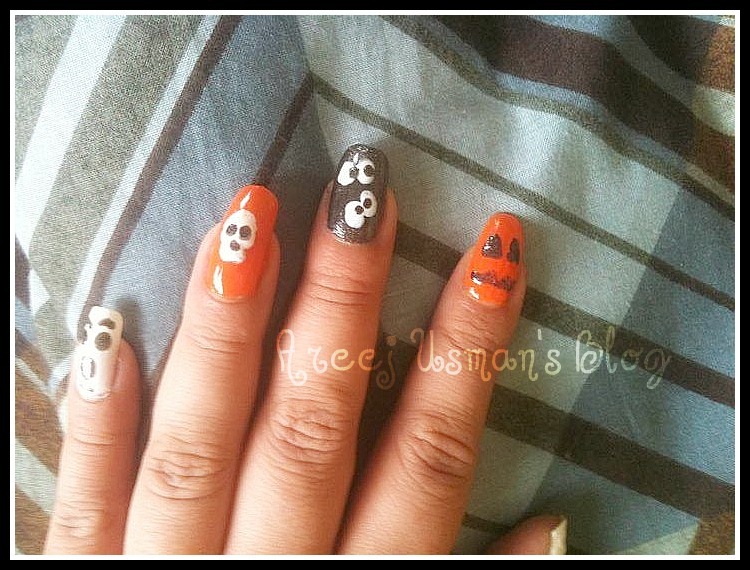 I'm gonna try and replicate these designs for an upcoming Halloween party. The cat one is sooo cute. 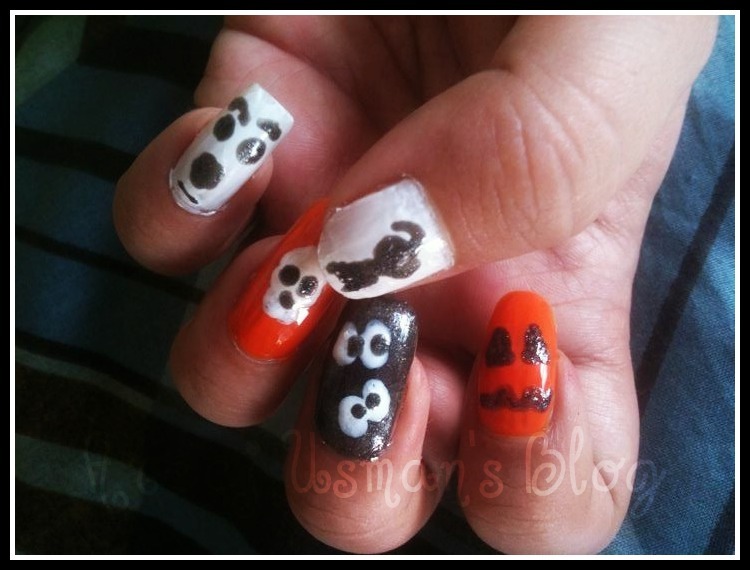 Love how you always come up with these designs:) Totally cute. 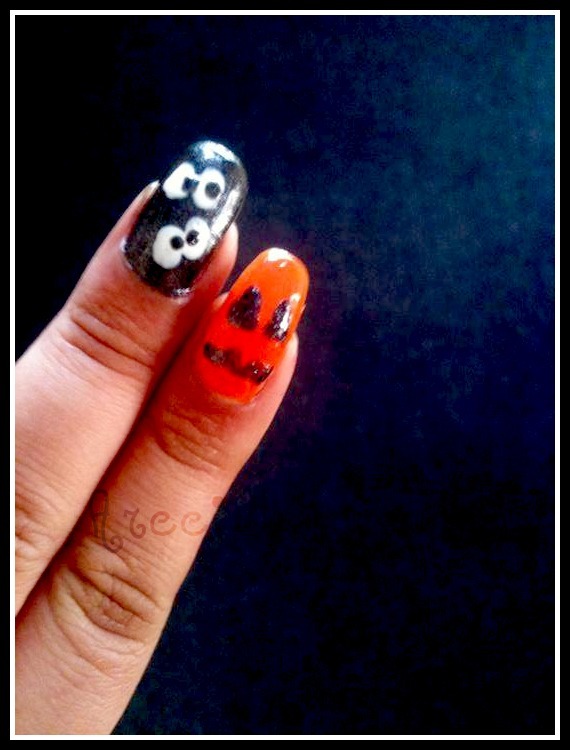 The googly eyes are soo cute!